Noralgis likes the soil where Prismocitae and Oryovia grows, so in general these two plants are the main indicators of the areas where it's worth trying to plant the incubators. Contrary to other plants Noralgis has no altitude limitation, so there are a lot of places on the map - for example on the shore - where it can grow, though it's very hard/expensive to find such spots. Within 8 hours Noralgis will turn into its first state, indicating whether the tile where you placed the seed is fertile or not. This applies to all islands. From the second growing state - when it starts to block movement - the incubator will produce material. This will be half of its full capacity which is more on beta and less on alpha islands. During consecutive cycles - which can be 8 hours or less - it either grows back some material, steps into the next growing state, or both. These events are random, so it could happen that your plant is not growing or not producing new material at all, when a field next to it is flourishing. Try working with as big numbers as you can! 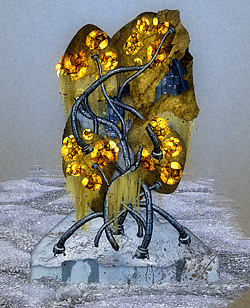 After a random number of cycles the plant reaches its last phase, and starts to have a chance to die. This will only happen at the last phase. 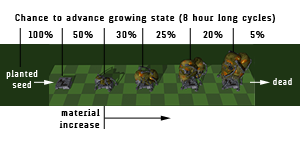 On Alpha islands, this death-chance is higher, and the plant has a shorter life-cycle than on beta islands. If Noralgis is able to grow in a place, it means that the tile is fertile and it will stay fertile forever. Planting there will always be successful and this fertility condition never changes. Noralgis incubators can't be placed next to each other directly. Always leave one tile distance between each of them, otherwise they can kill each other. This also means you can kill a complete field by planting a lot of seeds among them; technically it can "reset" the field. Rather inefficient, but it's possible. When you empty a plant by harvesting all the material out of it, it will immediately kill the plant. So it's wise to leave some in, at least one. Each time when a plant steps into the next state, it produces a boost of minerals. Half of its physical capacity will be produced, but at the same time the plant is stepping closer to the state when it will die out. The freakiest one: do not leave your robot standing on a tile where you planted Noralgis - it will die. Practically speaking: plant it and do not let anyone close to it until it starts to block. Hiding it is a good practice. This mechanic has been removed since. Hopefully this helped to shed some light on the plant system in Perpetuum. The ultimate practice is to kill a Prismocitae or Oryovia and place your incubator there, leaving one tile between each. ps. 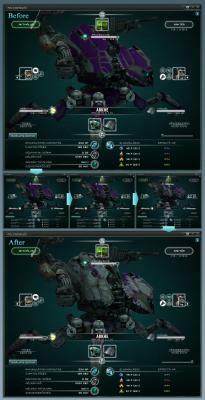 : This text will also be included in the ingame help in some form. Time to talk about the next update to Perpetuum, as per usual we have a few interesting changes and new features coming to the game. First of all as I've written previously, we're updating the roaming NPC system. Roaming NPCs will travel in caravans around the islands, and we're adding new flocks of NPCs for more varied random encounters on the terrain. This is only a very first step in our plan to bring a whole bunch of new content to the game for more stuff to do "between PvP sessions". We'll be adding a whole lot of new features to this end in later updates, which will be revealed a bit later. 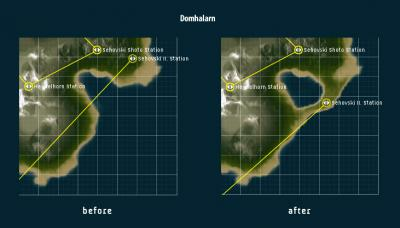 Various areas of the terrain will go through some small rearranging in this patch. Changes include new decorations around teleport stations, terrain updates here and there, and even a teleport station moved a bit farther away from a terminal. We're bringing in a feature that was originally suggested in a very early brainstorm by a player during the beta. We liked the idea very much and had everything ready for it for quite a while now, but other priorities meant that this had to wait. 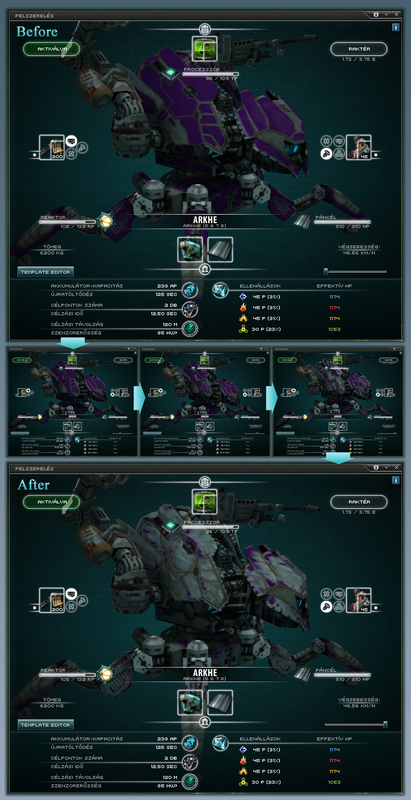 The paintjob on your robots will now get worn down gradually as you engage in combat. This change is only aesthetic and will be undone as soon as you pack your robot together, however it's a small thing you can brag about and show off. A new type of plant will make its debut with the coming update. The special thing about this plant is that on its own it won't be growing anywhere, it can only appear in the game world if players plant it. This plant will contain a new harvestable material for use in the manufacturing of high end items. Beware of people trying to harvest or even destroy your crops! One of the most fixed things in Perpetuum up to now was the constant, fixed distance of 1000 meters players could see each other. The upcoming update changes this. First of all: how far you can see and how far you can be seen from will both vary based on the robot you use, and the two will not necessarily be the same anymore. This alone would be an interesting change, but we're also adding modules to help modify these values during gameplay: The detection type module will allow you to see farther away. The flare type module will make the target show up for people farther away. And of course, the stealth type module will allow you to be seen from a shorter distance. These changes will bring the PvP on the beta islands to a whole new level, and we're excited to see how players will be using the new features to give them a tactical edge over their enemy. Let us know what you think about the upcoming update in the comments!